If ATLANTIC and THE EMIGRANT represented the journey, the case for SHOREBOUND being the destination is compelling. You can ask no more than an artist to keep moving forward in their creative output, and Ben Glover has achieved this with his new record. The Anglo element to his work has long been a feature and it is once again prevalent as the lengthy list of collaborators is revealed. Whether tapping into the darker sides of Mary Gauthier and Gretchen Peters' writing to reaching out across the pond to new collaborations with Ricky Ross and Robert Vincent, the standard of composition remains substantially high. This cements a growing reputation of being one of the most perceptive songwriters across the borderless roots/Americana scene. While Ben Glover is an artist that you associate with working with others, there are two moments on the record where he takes the solitary writing route. By far the strongest of these is ‘Kindness’, a song title and sentiment for eternity. Additionally, a theme explored extensively by Courtney Marie Andrews this year. Joining this moving piece in solo mode is the title number; a pensive song appearing to play a secondary role to the album’s punchier moments in the review stages. One of these moments which generate an instant reaction is the link up with Ricky Ross for the rousing piece ‘Wildfire’. Associations with Ben’s other significant project The Orphan Brigade immediately spring to mind upon first hearing this track, and somewhere down the line it is reminiscent of the sound Birds of Chicago perfect in their uptempo material. Perhaps there is a vocal synergy between Ben and JT Nero. Ultimately, this track wanders into radio earworm territory, likely heavily influenced by Ricky Ross, who is no stranger to the commercial world via his seminal work with Deacon Blue. The core of this record sees Ben work closely with two songwriters who have been instrumental in the raising of his profile especially in Britain and his native Northern Ireland. ‘Dancing With The Beast’ is a song with multiple lives this year. Both Ben and Gretchen Peters have cut it on their respective albums, similarly to what they did previously with ‘Blackbirds’. Each artist grasps ownership of their version with a firm grip. The influence of Mary Gauthier on ‘Catbird Seat’ is also prominent as we delve into the darker side of life. Where else do you end up when in harness with her writing? On a more moderate level, ‘Northern Stars’ sees a hook up with fellow Irish artists Matt McGinn and Malojian for a solid effort that more than pays its way in one of the tracks selected to promote the album in the run up to its release. Probably the vocal performance on the record is where Ben re-unites his duet partnership with Angel Snow for ‘A Wound That Seeks The Arrow’. The pair toured together a few years ago and both have continued to make great strides with their respective solo careers since. Where you find Ben Glover, Neilson Hubbard will not be far behind. Not only does he chip in with the co-production role (and another notch on his impressive producing resume) and play a multitude of instruments, but gets specifically on the credits for ‘Song For The Fighting’. In contrast, a new name to appear on a Ben Glover record is English singer-songwriter Robert Vincent, who ensures that the album finishes on an upbeat and positive note with ‘Keeper of My Heart’. At the outset of the record, the feeling of being in different surroundings permeates through the jovial sounding opener ‘What You Love Will Break Your Heart’. Fair enough, the title suggests otherwise, but the fuller production gives the track a real boost of energy. This song also heralds the first of the collaborators in Amy Speace, another Nashville artist familiar with UK audiences. While the strength of this record is in its sturdy base, joining the tracks that slightly edge to the front during the early stages of listening is the delightful ‘Ride the River’, the product of a collaboration with Kim Richey. This is an enjoyable positive number that rolls along at a decent pace, in contrast to the laid-back vibes that accompanies ‘My Shipwrecked Friend’. A delicate song in the final stages of the record and the result of Ben working with Anthony Toner. 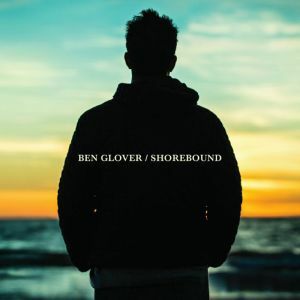 Judging SHOREBOUND as Ben Glover’s finest piece of work to date is slightly ingenuous to the last two records, which played an important part in a voyage of discovery. Without doubt, the new record possesses the most commercial appeal of the three, if that measure is applied. Of course, commerciality in these times can have adjusted definitions and horizons. While an artist is likely to be exhausted and relieved when a major release is unveiled to the world, impatient fans will soon be thinking where next is this journey going, Maybe that is for another day as there is plenty to wrap your ears around on a monumental record with much pleasure derived from meticulously exploring it.